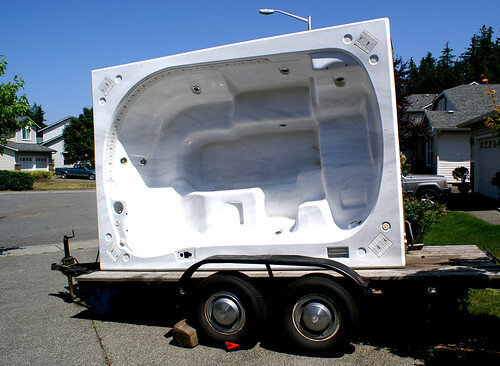 When Charming and I moved into our house about four months ago, we became the new owners of a very, very large hot tub. The cover was water logged and super heavy. And we weren’t sure if it actually worked. “Except it’s outside in the cold and right next to our neighbor’s house,” I calmly observed, more to myself than to him. Charming wasn’t convinced and still wanted it, so I was willing to give it a probationary period and see how things went. A couple months went by. 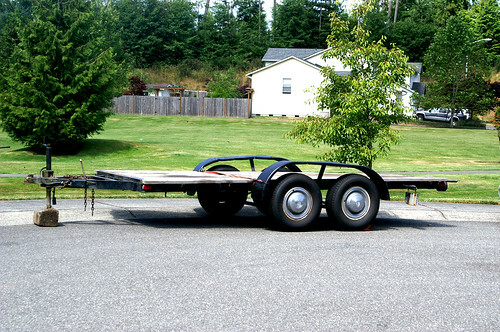 So I posted it on Craigslist with the specific instruction that the buyer was in charge of hauling it away. And then we waited and a few people came to look at it, but that was it. Until the day Bill called. “If you can get it on my trailer, I’ll buy it,” Bill told Charming. 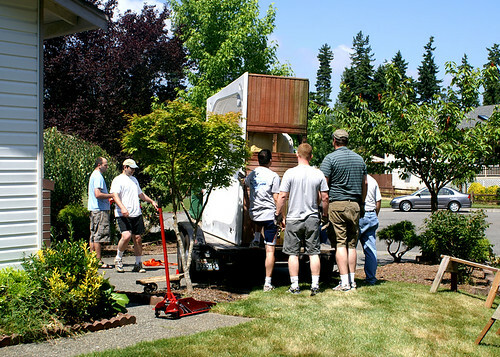 “Okay,” Charming said and they agreed on a time for Bill to drop off his trailer. When Charming told me this new development, I just stared at him. That was the moment I should have called my doctor, asked for a prescription for Valium and completely checked out until it was all over, because I’m just not good with moving heavy objects. 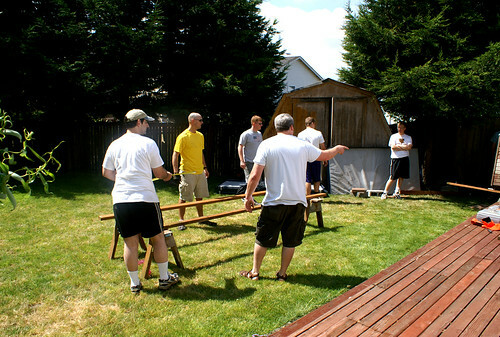 And then one fateful Saturday, I walked into my backyard and it was full of men. 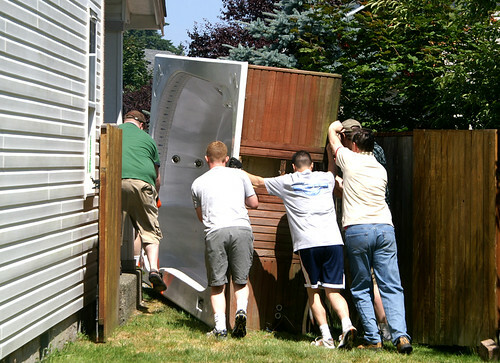 Who heard someone in the congregation needed help moving the biggest hot tub known to man and decided to spend their Saturday morning helping out. Men we were so glad to see! And along with these men, came a few children. Children who absolutely loved Bubbers and couldn’t get enough of playing with him. He’d never moved a hot tub before and didn’t have the slightest clue of what they should do. 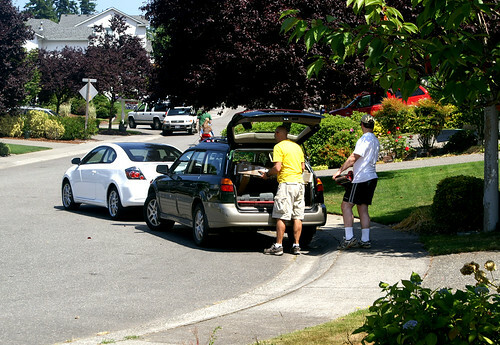 But fortunately for all involved, the man with the yellow shirt took charge and saved the day. And the first thing he did was jack up one side of the hot tub, so it would be easier to man handle. 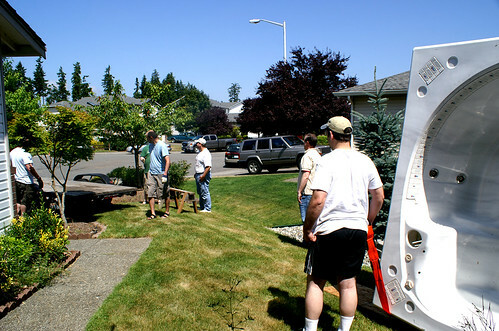 And while he did that, more men I didn’t know came pouring into my backyard. 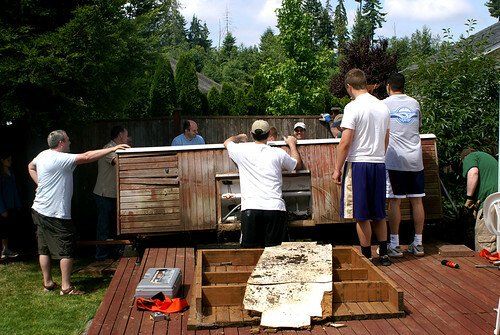 And as I watched them work, I had paranoid visions of hot tubs falling, backs breaking and little children being squished. So I kept a super close eye on Bubbers and the other kids and made sure they were kept far, far away. But they were oblivious to the imminent danger and busy having the time of their lives. 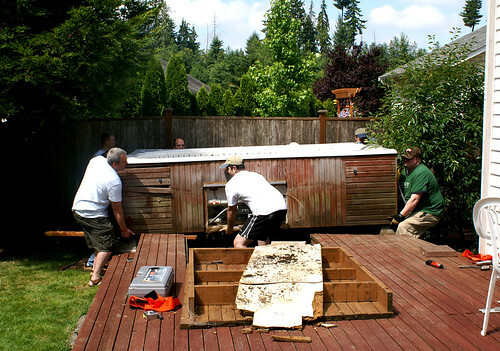 And when I looked back at the men, they had taken position around the hot tub and looked ready to actually start moving it. And that’s when my heart rate shot up to 565 beats/minute. And I duct taped Bubbers to my hip. And set it down on some concrete blocks. Then I let out my breath, squinted, scratched my head and wondered what that was all about, since it looked exactly the same to me. But no backs were broken. 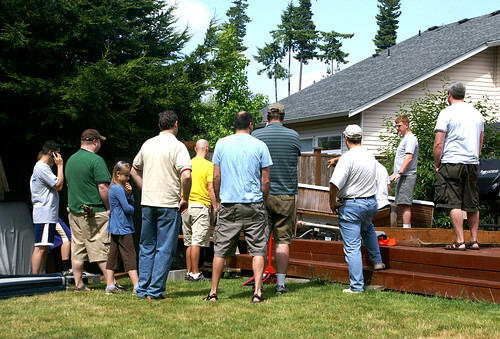 Then they made plans to bring it around the deck and put it on a couple saw horses. So they grunted and lifted…..
And set it down again. But they didn’t quite reach where they’d planned. 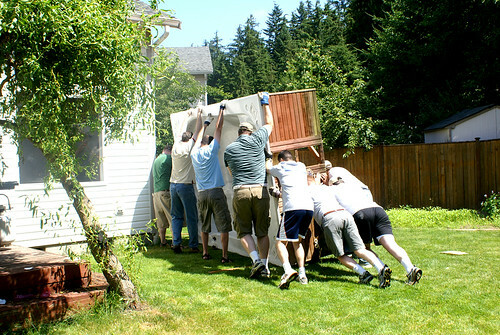 Because it was just too heavy to carry for long distances, so they decided they needed to do something different. And about this time, I was so stressed out I had to go inside, take a break and drink some water. And by the time I got back, they had set it on its side to push and were almost out of the yard! And then I had visions of the hot tub crashing down, squashing everyone in sight and ripping a hole in our dining room wall. So I tried to breathe. 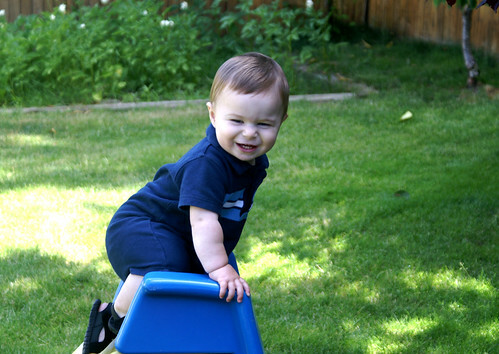 But then they were squeezing past our front porch and I had more visions of injury. 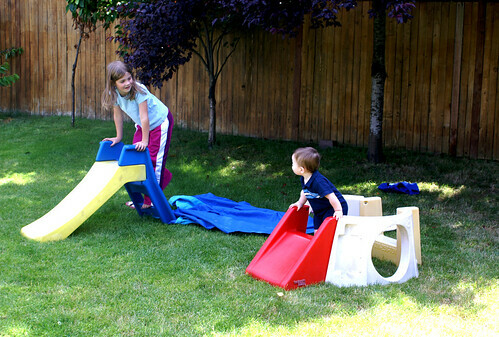 And I held back the kids until they’d cleared the porch. 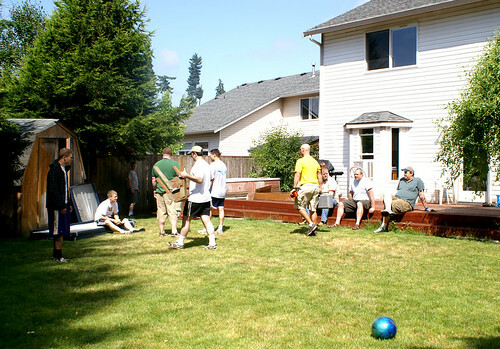 And then I told the kids to get on the porch and not move. And I prayed that the hot tub didn’t squash our next door neighbor. Then the men pulled the trailer as close as they could, even though it was going skeewampus off our driveway and squishing our poor bushes. Bushes could definitely be squashed. 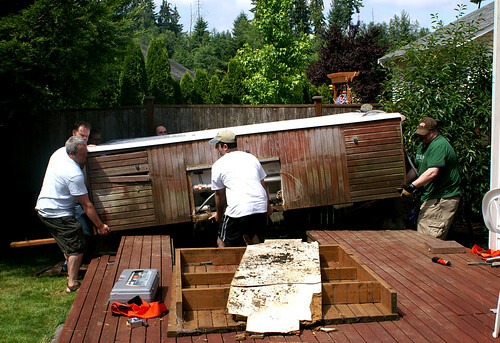 Then they hefted it onto the edge of the trailer and pushed with all their might. And I prayed that the trailer didn’t fold under the weight. Or flip up all of a sudden. And my prayers were answered! It didn’t tip or fall or squash. So then we profusely thanked all the men who helped and promised them a more tangible thank you at a future date when I wasn’t near apoplexy. And then we looked up. 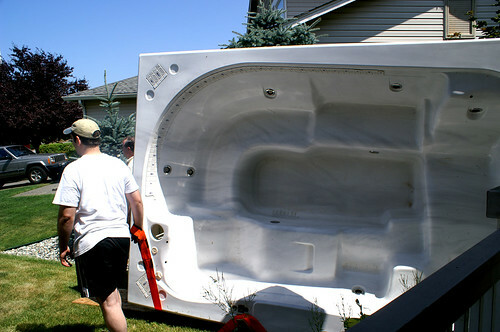 And realized we had a humongous hot tub. And I spent the next five hours in fear of high winds and tipping and crashing and breaking. 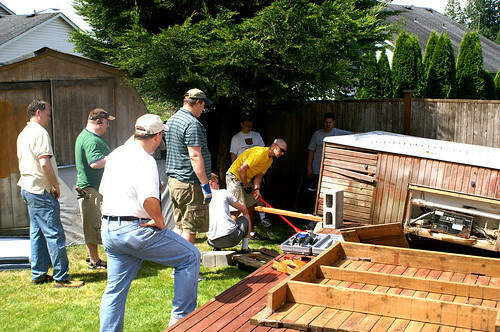 Until Bill finally came and hauled it away without a hitch. Wowee! What a project. I’m like you and wouldn’t care so much about having a hot tub. They are fun but I’m guessing there would be so much upkeep. Way to go Charming and ward buddies on the relocation! To paraphrase Charming, “Good heavens!” What a project… Glad you got that behemoth out of your yard and nobody lost a limb! 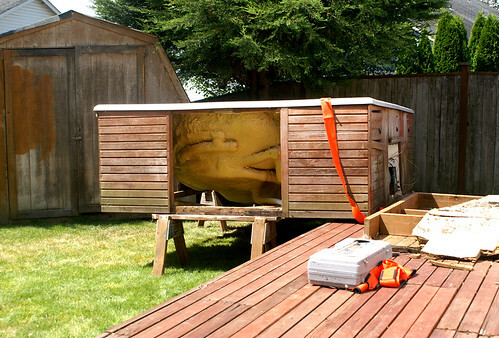 Wow thats a big hot tub, I didnt realise until its on the trailer. 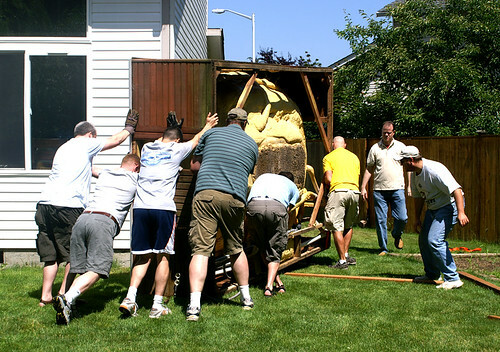 Who was going to help Bill unload it. Well, maybe the only limbs that were lost belonged to some poor plant! 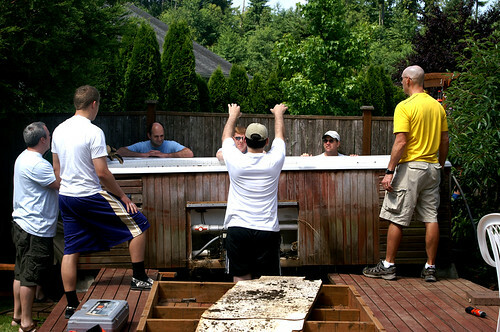 The hot tub didn’t look so huge until the pictures in the back yard when it was tipped on the side! 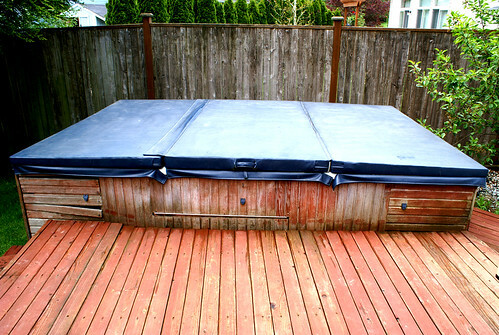 My grandpa use to use his hot tub in the summer and filled it with cool water for all of the grand kids to play in! Hey! Maybe your homeowners insurance will go down?! Wow, that was an undertaking. Don’t you just love it when men step up to do the manly work? 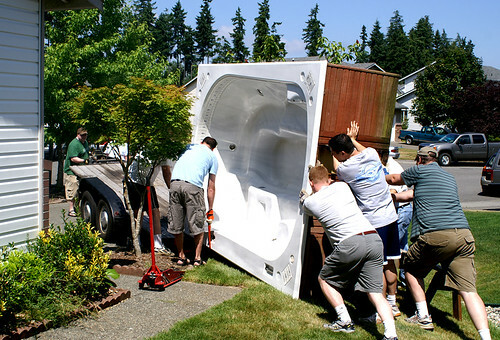 I love being part of an orgnanization where people will step in to move (huge) random objects! I’m glad the efforts were successful! How are your bushes now? So, without a hitch. Did you mean without any problems, or actually without a hitch? THey did a great job moving that thing! I just want to know, did Bill move it while it was still upright? And did he tie it down? 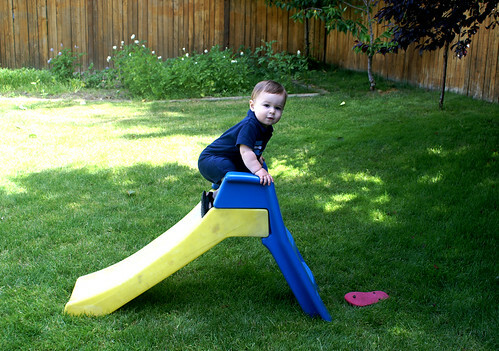 All I can in vision is that if he turned a corner too sharp it would tip over. Did he make it home? Thank goodness for wards and friends. What are you going to buy with the windfall of money…. swing set? 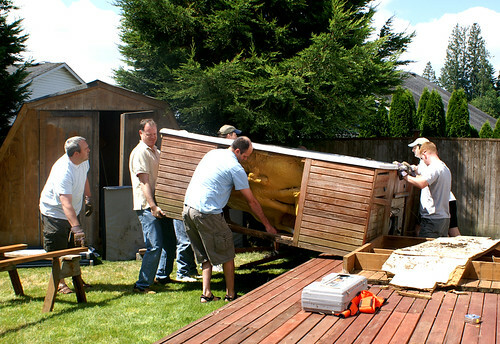 – We have no idea how he was going to unload it. We made it very clear that once it was on a trailer, it was his responsibility. Yeah, we made him sign a waiver of liability. – He did tie it down while it was upright. He bought some straps from Lowes on the way over and we spent about 20 minutes tying it down. – Both the plants and the grass survived intact. Yeah! – We did not try it. It was in pretty bad shape. The guy who cleaned it said that with the cover so badly waterlogged, there was no way we could keep germs and stuff out. So, we only filled it once, and that was just to make sure the jets worked (they did). Also–I wanted to add that I don’t even own a swimsuit. Yeah, I wish I were more of a water enthusiast. But. I’m just not. Sorry! Wow! There were a lot more people there than I thought. Good job though! 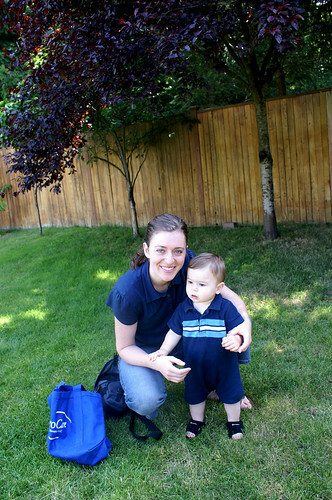 Oh, and Heidi, you’re blue eyes stand out so much in that picture of you and Bubbers. Beautiful! I came here as a result of an upcoming move of a new-used hot tub to our back yard and searching for some first-hand experience. I, too, may be calling on friends from church. The read was far more enjoyable than I had expected. Nicely done. I write, when time allows, at a blog of my own called Patterns of Ink. Feel free to drop by.